Eastern Ballet Institute, LLC is committed to developing in all its students the knowledge, technical skills, and discipline necessary to reach their maximum potential as individual dancers, in a challenging, rewarding and nurturing environment. The program’s core offerings consist of curricula, which through the highest quality of guidance and instruction, strengthen and refine classical and contemporary dance techniques, as well as provide scholarly inquiry into the history, musicality and aesthetics of dance. school year. EBI Summer programs include: Summer Youth Dance Week, Summer Series classes and a summer master class is held for continued training. EBI tuition scholarships are awarded to gifted and dedicated students annually by way of the EBI Scholarship Fund. The EBI program is open to children ages 4 and up and offers rolling admissions. Male student and Family discounts are available. The maximum enrollment at Eastern Ballet Institute is 50 students, hence making the program beneficial for those seeking more individualized training with a progressive focus. These smaller class sizes increase the speed of technical and artistic progression, aid in classroom communication and raise the level of self confidence in its students. Company in Concord, NH. 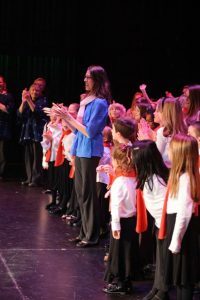 Brandi assumed the position of Children’s Director for the St. Paul’s School Ballet Company’s production of “The Nutcracker” following her internship at SPS and continued working with SPS until the community performances of “The Nutcracker” ended in 2010. Ms. Reed studied both in classical and contemporary styles in program, workshop and master class settings with names such as Priscilla Wagner (Wisconsin, City Ballet Theatre), Xochitl Tejeda De Cerda (Ohio Ballet), Suzanne Farrell, Finis Jhung, E. Laura Hausmann, Scott Jovovich, Sharon Kay Randolph, Janet Dare, Robert Battle, Amy Marshall Dance Company, Marcus Schulkind, New Hampshire Dance Alliance, New York City Dance Alliance, American College Dance Festival, Green Street Studios, The Dance Complex and the Dance Teachers Club of Boston and The American Society’s Dance Education Training summer program, where Brandi graduated top three in classical ballet training. Other accomplishments include membership in the National Art Honor Society, talent scholarships through Plymouth State University, a freshman talent scholarship through Roger Williams University in RI, the Joan Merrill Book Award (scholarship) through PSU, publications in the National Library of Poetry and print work for Finishline Photography, published in NH Mirror Magazine. Brandi has taught broadly throughout New Hampshire and now currently serves as the Owner and Artistic Director of Eastern Ballet Institute in Concord (founded 2008). Among many activities, Brandi most enjoys photography, a second passion to the art of dance. EBI was recently featured in NH Chronicle, a nightly magazine program about the people and places that make New Hampshire special. What do a ballet choreographer Brandi Nylen Reed, a playwright David Preece, a harpist De Luna Harps, a children's performer Aaron Jones, a high school senior Madison Simpson who plays ukulele, and an improv musician Mark Dionne have in common? They are part of our new series CONCORD Originals, celebrating artists of all types from the community! The EBI Studio Company (entrance by audition/invitation only annually), participates annually in the largest scholarship competition in the world, the Youth America Grand Prix and the Connecticut Classic Scholarship Competitions, where students bring classical variations, contemporary solo works and ensembles to the stage in hopes of receiving a summer training scholarship to one of the prestigious programs offered in the US. Interested students may audition annually for placement in the EBI Studio Company, or be personally invited to become a member by EBI. Once accepted, members are offered performance and adjudication opportunities by training for two scholarship competitions: The Youth America Grand Prix and The Connecticut Classic, both held annually in New England in February and March. In addition to these scholarship events, company members participate in local community performances and master classes with prominent classical and contemporary masters from all over the world. For further information, please email EBI.